A Jamundeño enjoying the festivities. 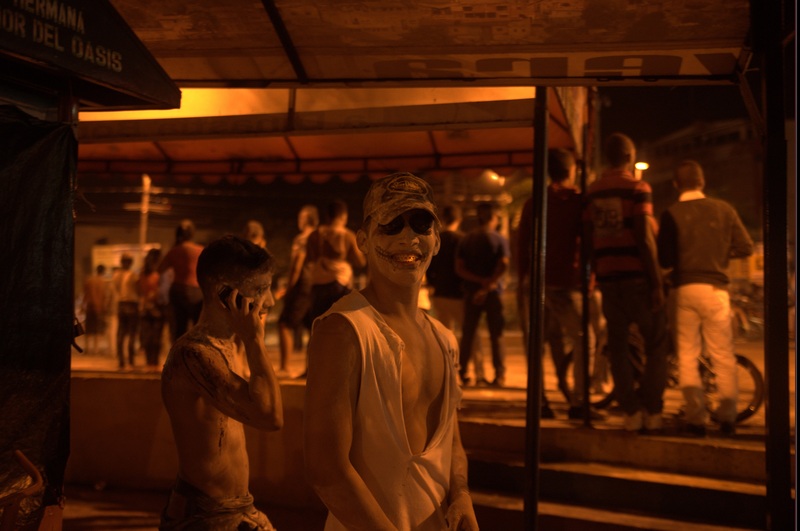 | Jamundí, Colombia, Halloween 2013. The weather has been somewhat erratic lately. As we enter October, we haven’t quite entered autumn yet, which remains my favorite time of year. I missed it completely in Colombia last year, leaving the country in mid-October, before it ever really even got nippy out. I’m glad it’s coming back now, even if it is slow to come. Tonight it is under the false impression that it is raining outside, and so at this late hour I’m settling in to write a bit more of Long September. I’ve reached a difficult part, where many moving pieces all collide at once. I’ve determined I’m going to shoot my through it, and not be hamstrung by worries. The picture is a throwback to the spooky time of year that begins now. The houses down the street have put up the pumpkins and ghosts. It seems as good a time as any to write of places we don’t dare to go.